Gustavus Adolphus College senior Jared Morningstar is being recognized as a recipient of the Humanities Scholarship by the Swedish Council of America (SCA). 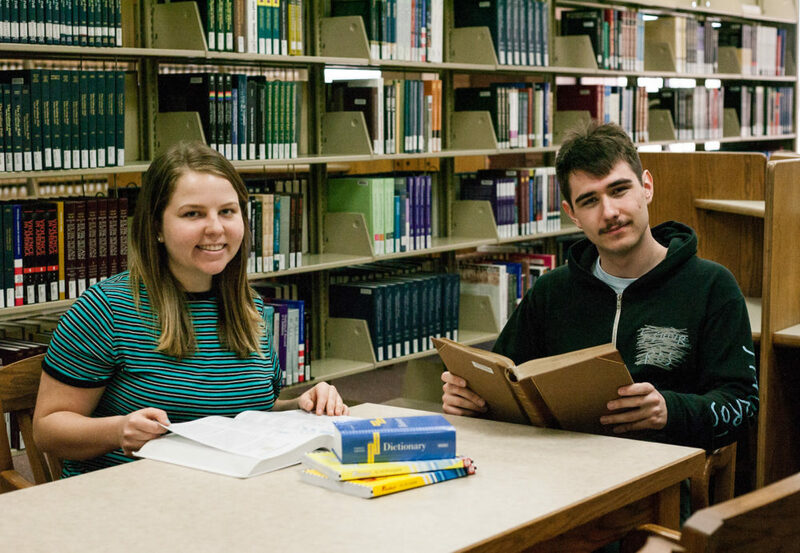 The award is given annually to outstanding, full-time undergraduate student with a humanities major and a demonstrated interest in Sweden or a field that is especially prominent in Sweden. Morningstar has a number of visits to Sweden under his belt and is looking forward to spending more of his future there. “I will, of course, be going back to Sweden in the fall for my SCA research – after that, I am not sure! It definitely seems I am headed for a life-long relationship with the country, though, so I am sure I will head back again soon,” said Jared. The scholarship consists of a travel stipend of up to $4,000 to perform research in Sweden. Morningstar’s research will be focused on better understanding the unique challenges Muslims face in Sweden. He also hopes to analyze this to further gain insight on the struggles of the religious minorities in America. “The goal of this publication would be to showcase the diversity of perspectives within any faith community in an attempt to understand how to improve relations across religious lines,” said Morningstar. Morningstar plans to give a lecture on his research both in Sweden and at Gustavus. 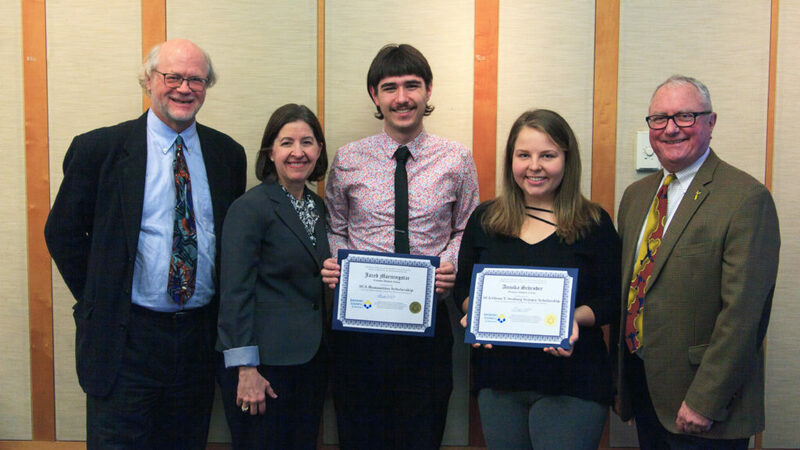 Morningstar (center) was awarded the Swedish Council of America’s Humanities Scholarship at a reception with SCA Board Member John Hasselberg, Gustavus President Rebecca M. Bergman, fellow award winner Annika Schroder, and SCA Executive Director Gregg White. The SCA Humanities Award represents both scholastic and relational accomplishments for Morningstar. “On one hand it represents my own personal development as a scholar and a researcher, but it also has a more personal meaning for me as well – I would not be in this position were it not for all the fantastic professors, mentors, and friends who have encouraged me in my academic journey and inspired me to care about the questions and topics which inform my project,” he said. “Jared is a self-starter and an independent thinker who has successfully juggled two majors (Scandinavian Studies and Religious Studies), an academic assistantship, and the rehearsal and touring responsibilities that come with a music scholarship, all the while maintaining a near-perfect GPA,” Associate Professor of Scandinavian Studies Ursula Lindqvist said.